We redesigned the entire app to to give you a cleaner and simpler view of your tasks and projects. We wanted to make a design that was easier to use and more consistent across all of your devices. Quickly see who created a task and when the task was created. 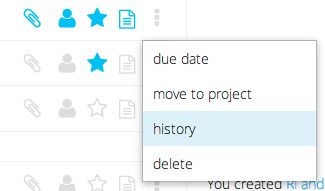 You can now create subtask much quicker now by clicking the + button to the left of each task. We have fond that this simple improvement saves us a lot of time. You were always able to print your task list from your web browser but we just added printing support to the Windows 8 app and Chrome Packaged app. We also improved the style and layout of the list when you print it so that you can see more tasks on one page. We made many improvements across the board for all of the mobile apps and touch devices. The app is now faster and easier to use. We also fixed a number of issues that you may have run into. Reminder: If you have an issue with the app please let us know, we are usually pretty quick to fix bugs. Thanks for all of your great feedback and support, it helps us make a great app for you and your team! Over the past few weeks there have been a number of great improvements to Manage It. We hope these improvements help make you even more productive. You can now quickly find your tasks from within the app. Simply click the search button in the app then start typing. And if you type in "#high" in to the find field, we will only show you tasks that have the tag #high in the task title. We hope this will help all of us find and filter our tasks. We also added the ability for you to click on the task name in the history panel (the bottom right of the screen) and be taken directly to where the task is. This will help you quickly see what tasks are added or edited by other people in your project. You can now download your project to your computer. Click on the wrench icon in the app then click "export project as csv" and your project will begin to download. You can then open this file in Microsoft Excel or any other spreadsheet application. As always let us know if you have any suggestions or comments. Your comments help make the app better for everybody using it, thanks! We have been very busy since the last time we talked. Here are some of the new things we worked on to make Manage It (http://manageitapp.com) a great tool to help your team get organized. You can now print your tasks right from the web site (http://app.manageitapp.com). We hope to bring printing to the mobile apps in a future update. We now make it easy for you to attach any link to a task. We recently pushed a large update for the Google Drive file picker. You might not notice a change in the web browser but on mobile devices like your iPhone, the Google Drive picker is much easier to use and much faster. Android should already have the new picker and iOS users should see it in the next release. We are close to releasing our Window Phone native app but in the meantime we made a number of improvements so that the app works better on the phone when you use it through the web browser. Stay tuned for more to come for Windows and Windows Phone. If you use the Box.com file service you can now attach these files to your tasks. Currently this only works in the web browser but it should make it to our mobile apps in the next update. We recently improved our file picker for Evernote file types. You will now see the thumbnail and the date that the note was last edited. The default is for you to receive the email Monday through Friday but you can change the days or turn off the emails completely from the settings in the app. If you are on iOS you may need to update your app before you see these settings. You can now quickly access your projects from your Android phone or tablet when you are not near a computer. There is much more we would like to do on Android to make it a great experience for you. We hope this app is a good starting point. Like everyone else on the internet we took a close look at the security of our apps when the Heartbleed vulnerability was disclosed. We were happy to find that Manage It was not vulnerable to Heartbleed. Nonetheless, as a precaution, we took the time to update all of our servers, certificates, and rotated security keys where necessary. The security of your data is our highest priority. Today we released a new version of our Get It Done Android app which now includes a widget you can put on the home screen of your phone or tablet. This is one of our most heavily requested features and we are glad to bring it to you today. We are looking to build out this widget more in the future to offer more capabilities but we think this is a good start. If anyone has any suggestions or comments please let us know! 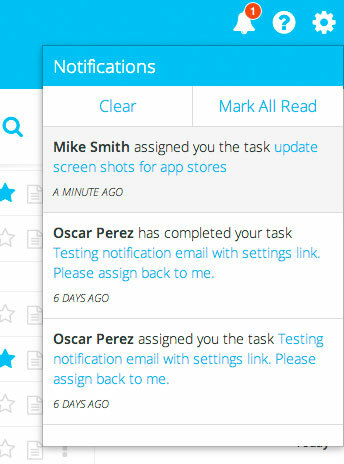 This past week we pushed a big update to our Get It Done task app for touch devices. Before this week many touch devices such as Windows and Blackberry phones and tablets were not able to rearrange tasks on the device. iPhone, iPad, and Android users were able to sort tasks but it was not optimal. On iPad, and Android tablets you can now drag a task into the left column to put the task into your Inbox, Today, Next, Someday, or the Scheduled folders. On iPhone and Android phone you can now scroll the list while sorting. The updated apps are in their respective app stores so get the update now, also don't forget to rate our app if you love us! Update on our new app "Manage It"
If you haven't heard already we recently released a new app called "Manage It". While Get It Done is designed to be a great task app, we made Manage It to be a great collaboration app. 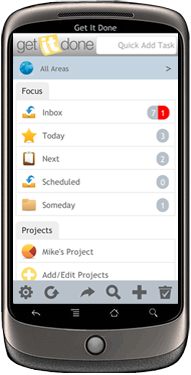 If you need to work with people on projects and tasks then Manage It app was made for you. Check it out now at http://manageitapp.com/. We developed some great cutting edge technology to build Mange It and the goal is to also bring over the new technology to our other apps. Important Reminder: When you are using the app in a web browser, click the refresh (reload) button to get the latest version of the app. You can now attach Dropbox files to your tasks the same way you can attach Google Drive files and Evernote Notes. Just click the paperclip icon on the task then click the Dropbox button. Currently this is only available in the web browser but we hope to bring it to mobile and native apps soon. We added Evernote support about a month ago and we just made it better. You can now add a NEW Evernote to a task, before you were only able to attach an existing Evernote. To attach a new Evernote to a task just click the paperclip icon on the task, click Evernote, browse to the notebook you would like to create the note in, then click the + button. Up until the other day you were only able to use Manage It through the web browser, but we now added a "Chrome Packaged App" to the Google app store. "Chrome Packaged Apps" are web apps but they are packaged in a way to allow you to open and use the app while you do not have an internet connection. We recommend you use the app through the web browser because you will get product updates much quicker (daily updates instead of weekly), but if you need to work offline while on your computer then this is a great option. Some users have seen some pretty ugly fonts in the app while for other people the app looks fine. We found the issue and now the app should look great for everybody. Over the past few days we fix a variety of issue for Windows Phone 8 users, even though the app is still not perfect on this phone, it has gotten a lot better. Today we release a new version of Get It Done. This is mostly bug fixes and speed improvements but it does fix one nasty bug where some people were unable to open the app. You can get it now in the App Store on your device, if anyone sees amy issues let us know. Our parent company's website, marcucio.com, is in desperate need for a makeover and we are starting with the logo. You can help us (and maybe win the $200 prize) by entering your designs into the contest. It is free to do so give it a try today!